Seriously, a hair blog is the best diary! I’m not really consistent in the products that I use to style. I’ll just grab whatever is tickling my fancy at the moment. And, there are times when I remember getting great results from a product, but have no clue what I used! Enter Hairscapades the blog! LOL!! I am almost always able to find the picture and post with details of my styling and products to help me recreate the look as closely as possible. I mean, it’s rarely EXACTLY the same. But, I can get close. Anywho, Wei and I had plans this weekend, which included a trip to a movie screening in NYC and meeting more of his family! So, you know I wanted to look nice. However, as we went out to dinner on Friday night to celebrate the anniversary of our engagement, I didn’t have time to wash my hair (and I didn’t wash it all this weekend). Therefore, I decided a dry braid n’ curl (BnC) was in order and wanted to recreate the fluffy look I had when I did my hair for the Katie Couric Show in Janaury (see it here). So, I re-read Getting Ready: Hair√, Face√, Clothes√ and did essentially the same thing. Donned my Blensblend silk bonnet and hit the sack. And these were the results on Saturday. Yeah, I definitely prefer BnCs over TnCs now. I just think they give me more uniform results. Also think my hair doesn’t tangle as much. I think the flaxseed cream gel that I used on wash day was reactivated by the water and helped provide some nice hold and definition too!! One thing you may notice is my glaring grey roots. It’s really time for a henna treatment and I was hoping to do one on Sunday, but it didn’t happen. TouchBack Marker to the rescue!! Let me tell you, that thing is really a great pinch hitter when I can’t henna!! The other great thing about it is that I’ve had it since last summer and it is still as effective as when I first purchased it. It hasn’t dried out and the color hasn’t faded! Love the longevity. Given the price, that was an important factor for me re-purchasing it in the future. Anyone else going to the CurlyNikki Curl Power event with Chrisette Michelle this Wednesday?! If so, what are you doing with your hair?! Hope to see some of you there!! The Wednesday before last, after my Katie Show outing, I had my sister take a few quick length check pics. I hadn’t taken any after my haircut in December, Wei was out of town and they are difficult to do alone. So, I took the opportunity of having another set of hands present to get a few quick shots. 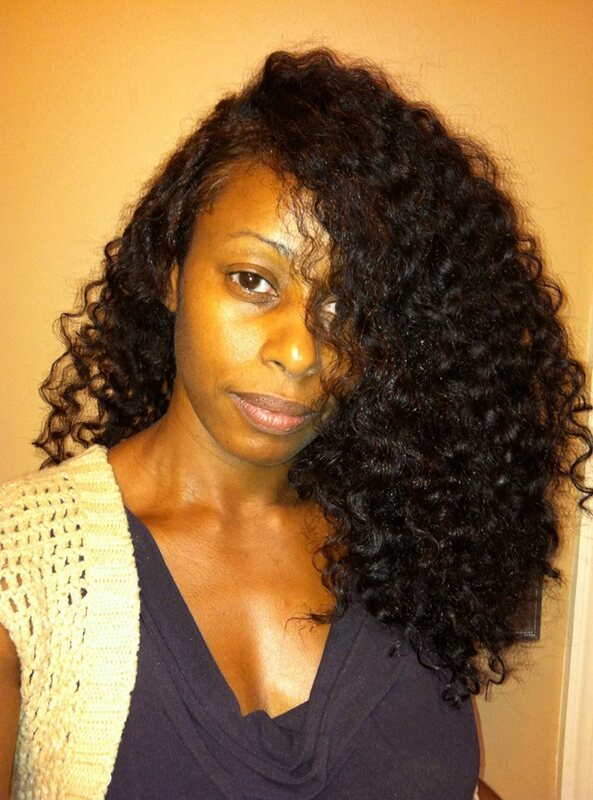 If you recall, I wore my hair in a braid and curl (BnC) for the show’s taping, so my curls were stretched. 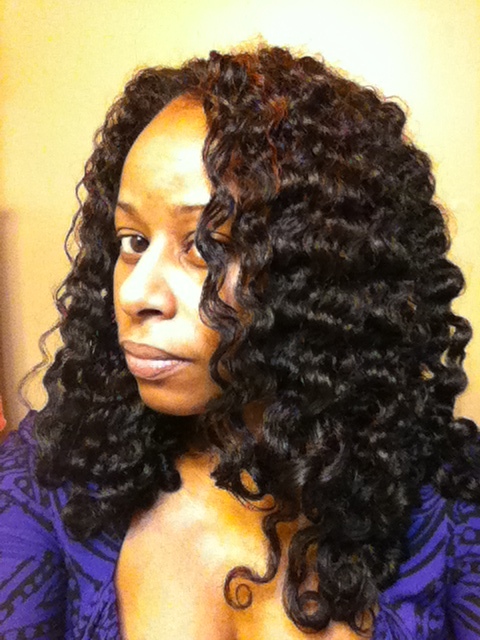 As of 1/9/13, the shortest layers around my face are about armpit length, the side and crown layers are around bra-strap/mid-back length and my longest layer is waist length. So, my hair is back to where it was after my haircut in June 2012 (see here). That was a really good BnC! Gotta go refresh my memory about what I used and do it again ;)! 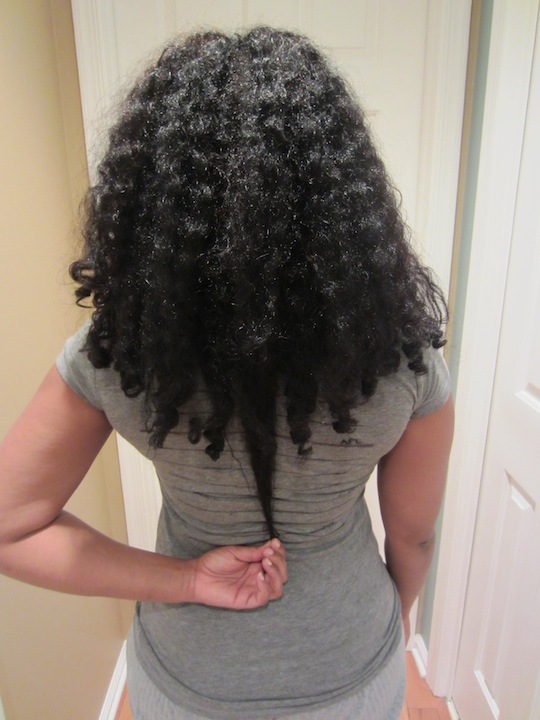 *lol* Anywho, I’ll be sticking with stretched, low-manipulation, protective styling and search and destroys for the next 6 months or so to see if I can gain/retain an additional 2-3 inches all around. 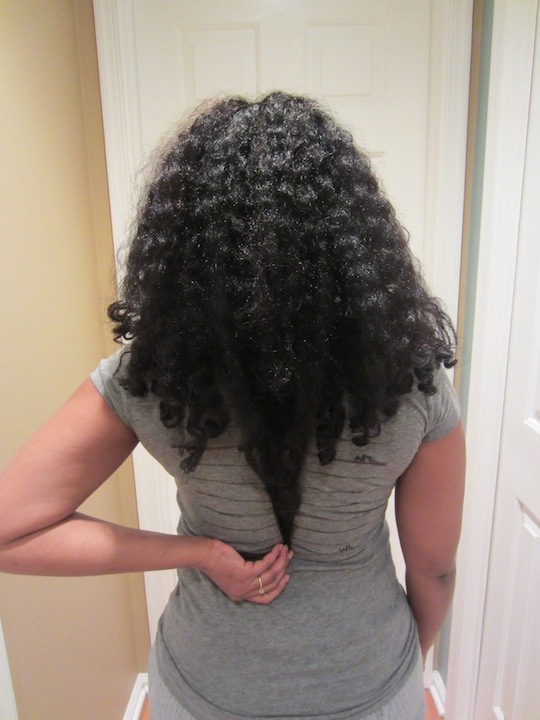 Working my way towards that tailbone/hipbone length hair ;). Need to get my diet and exercise game right first though :(. Mission accomplished!! I was able to successfully acquire the Shea Moisture Coconut & Hibiscus Curling Soufflé from Walgreens on sale for $9.99 with card and coupon (because, you know CVS and Walgreens prices are typically higher than Target’s). Now, what you may be asking is, why was I on a mission to get this stuff?! Well, I had been reading a lot about the souffle lately, some good, some bad. 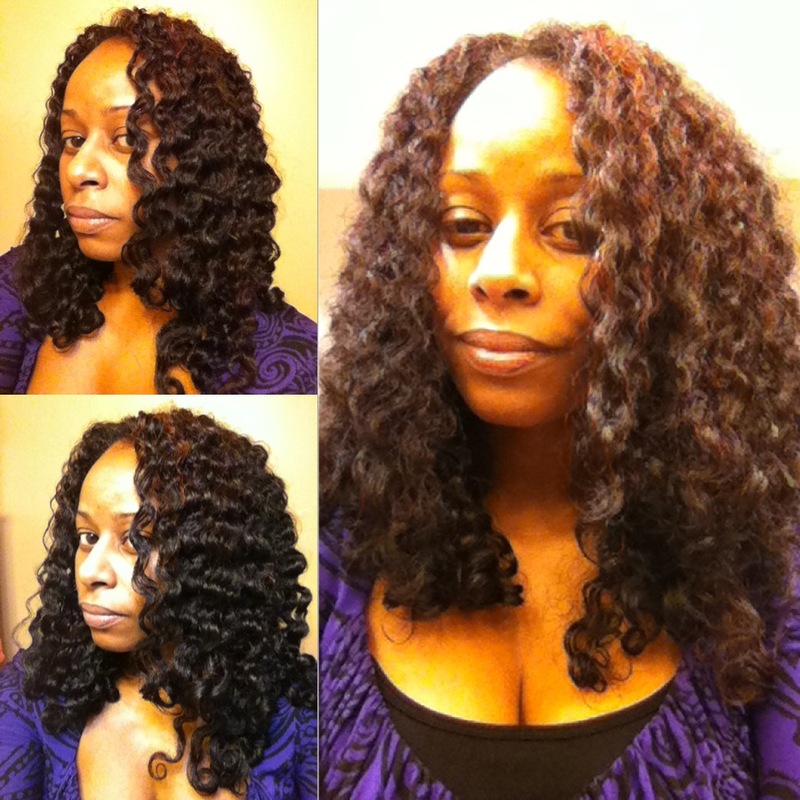 Curlfriend Gina told me that it was very thick and she didn’t like how it felt the first night that she applied it, but the next day her hair was soft and moisturized and she didn’t need to apply any additional product for days. 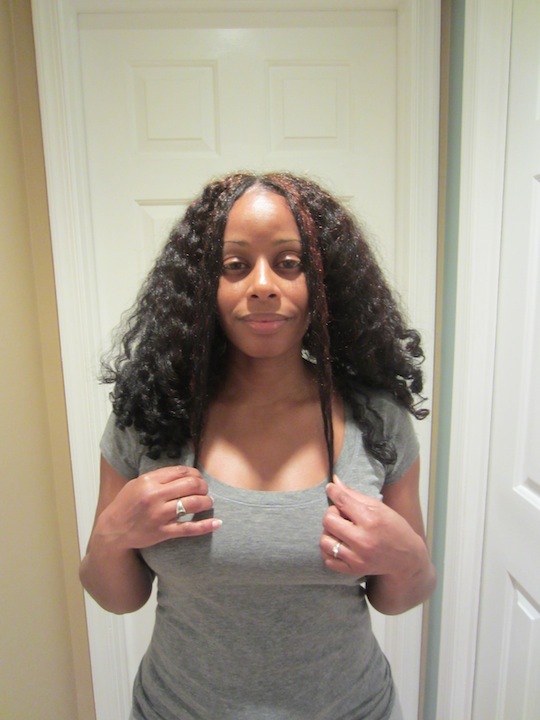 She was able to simply re-twist her hair and that seemed to “reactivate” the product. She warned that only the slightest amount of product was needed, just as the jar indicated. Then, on Instagram (IG) I saw a picture of MahoganyCurls’ twist-out results with the product layered with the Curl Enhancing Smoothie. 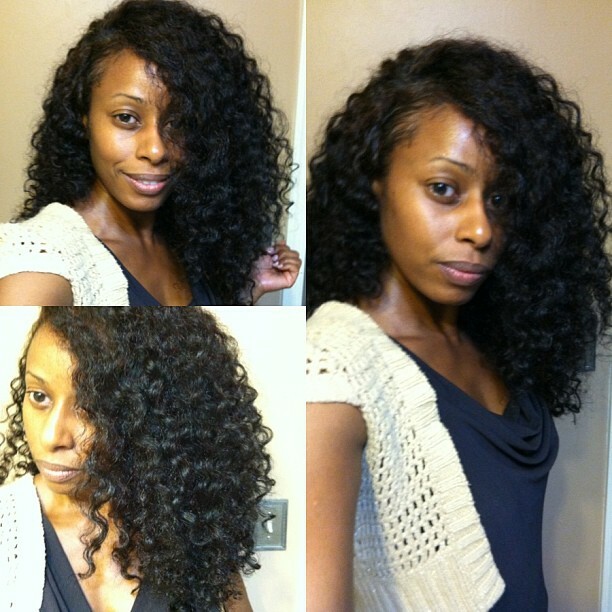 She actually showed the very little amount that she used for each section of her hair and then posted her gorgeous twist-out. I think I saw a few other people posting about it on YouTube and IG and the inner PJ started itching. So, I had to track some down and give it a try on my fine hair, with the knowledge that I should only use a very small amount as the product is oily, heavy and made for thick hair. Now, this is not a full review. 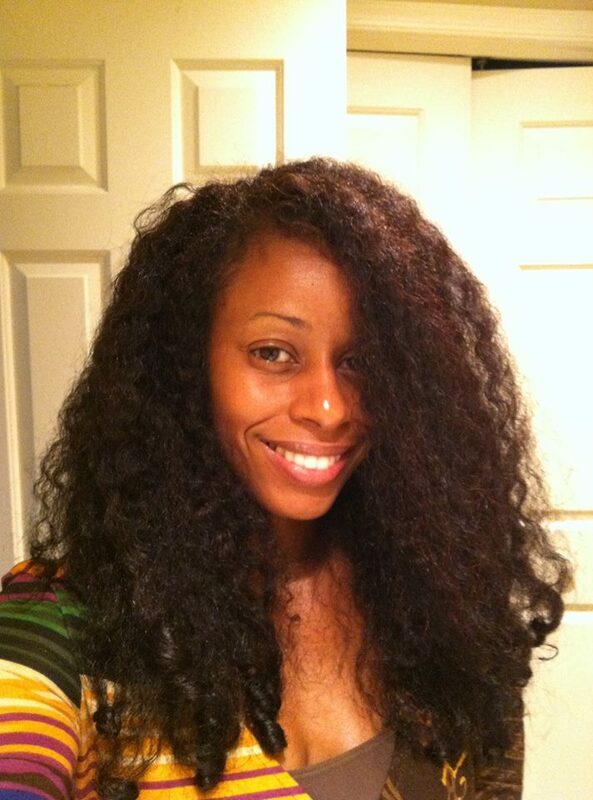 I’ve only used the product once on an old braid-out and I used the teeniest, tiniest amount. Like, seriously, I just swiped the surface of the product to get a little of it on two fingertips. I didn’t dig my fingers into the product at all. I also applied virgin coconut oil (VCO) to help finger detangle any difficult sections (crown, you know who you are) before applying the Soufflé. 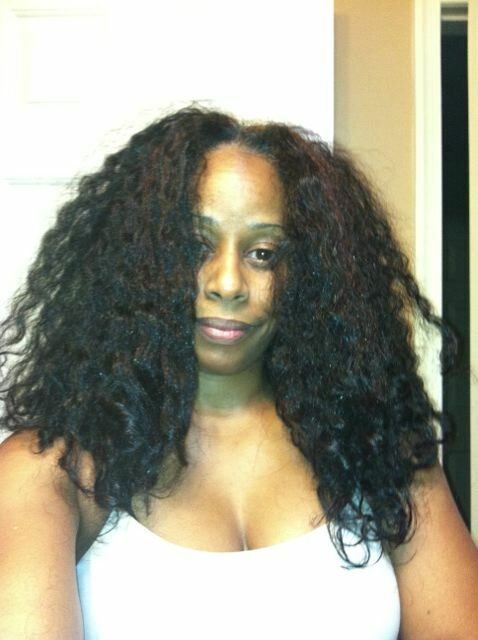 This is what my old braid-out looked like on Friday night (if you remember, I re-set my dry hair on Tuesday night too). As I indicated above, I used the Soufflé and VCO to restyle, setting my hair in 12 braids (3 in each quadrant). 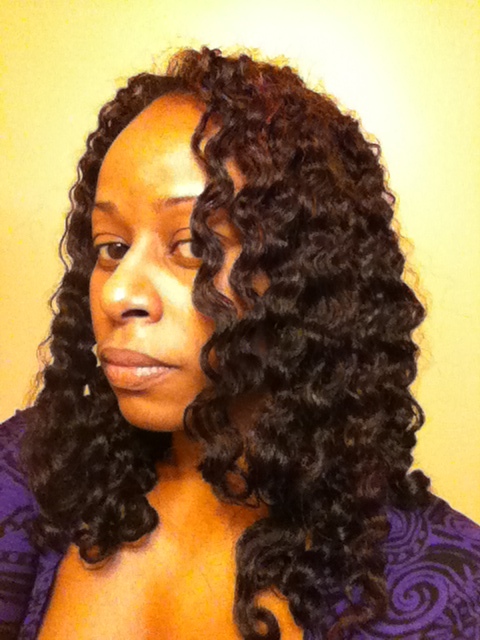 Then, I dampened the braids with water and set the ends on small grey perm rods. 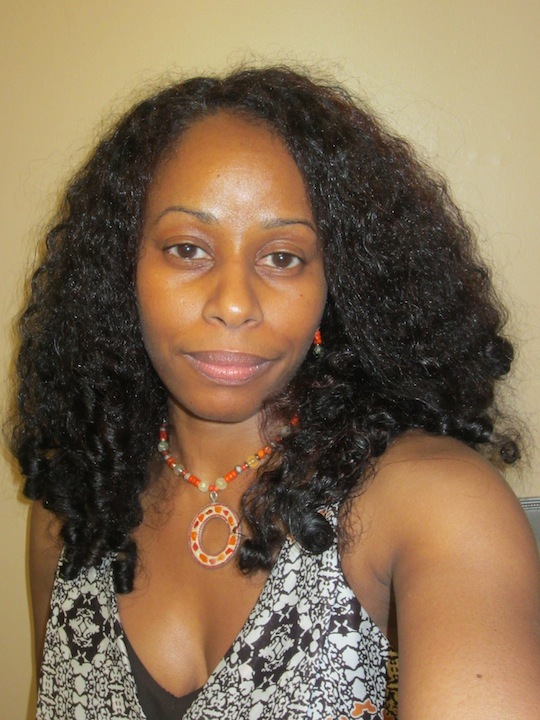 The next morning, I applied some Wild Growth Hair Oil (WGHO) to my scalp while my hair was still braided. 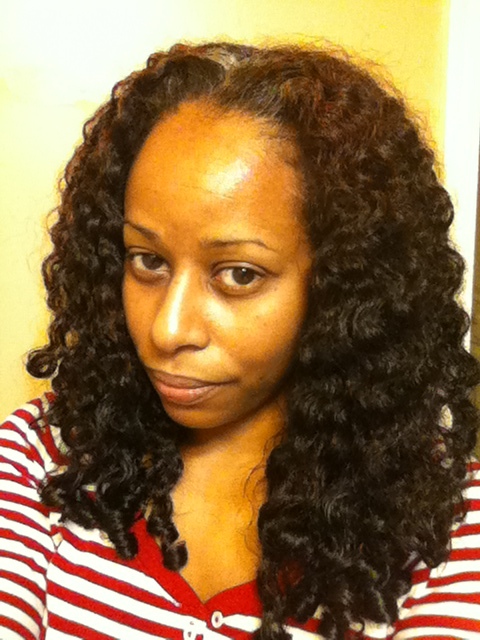 Then, a couple of hours later, I released the braids and these were my results. 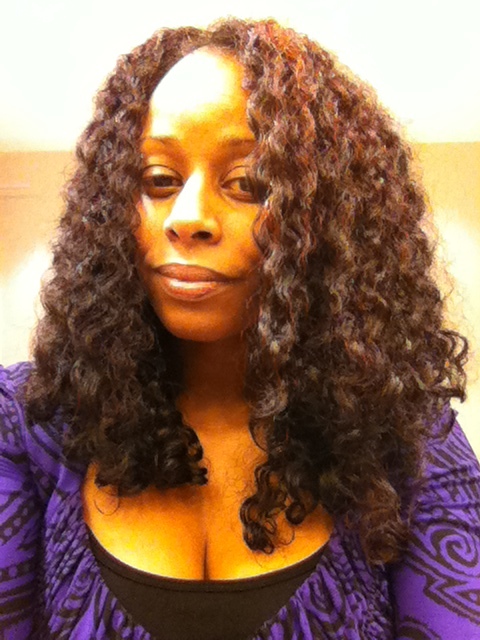 My hair was nicely defined and full. However, it was oily when I went to fluff it too. The thing is … I think a big part of this was the WGHO that I applied to my scalp! I was kind of heavy-handed and I couldn’t differentiate what was product on my hair and what was the oil from my scalp. I do think the Soufflé left oil on the surface of my hair, but it wasn’t an excessive or troublesome amount from what I can tell. Anywho, by the end of the day out and about in a humid environment, the definition faded and my hair got fluffy. I do love fluffy hair. However, gotta admit, I do wish that I could get a defined look to last a day or two so that my styles have more longevity and the fluff happens day 3 or 4!! I think that I may need to add some gel to my sets in order to accomplish that. 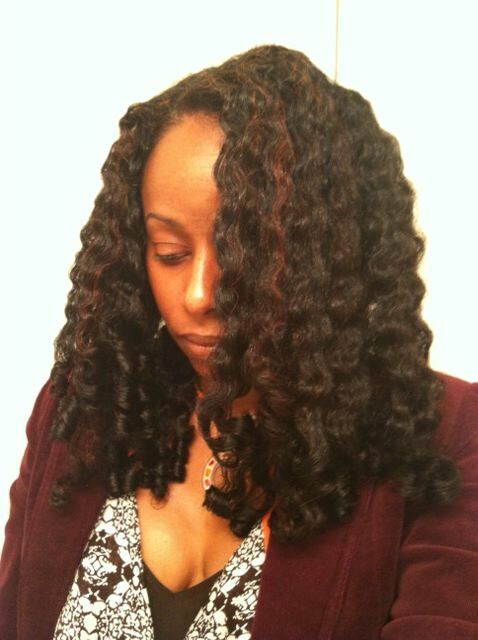 I have in the past with TnCs, but it’s been a long time since I’ve used gel to set my hair in a braid-out or TnC. 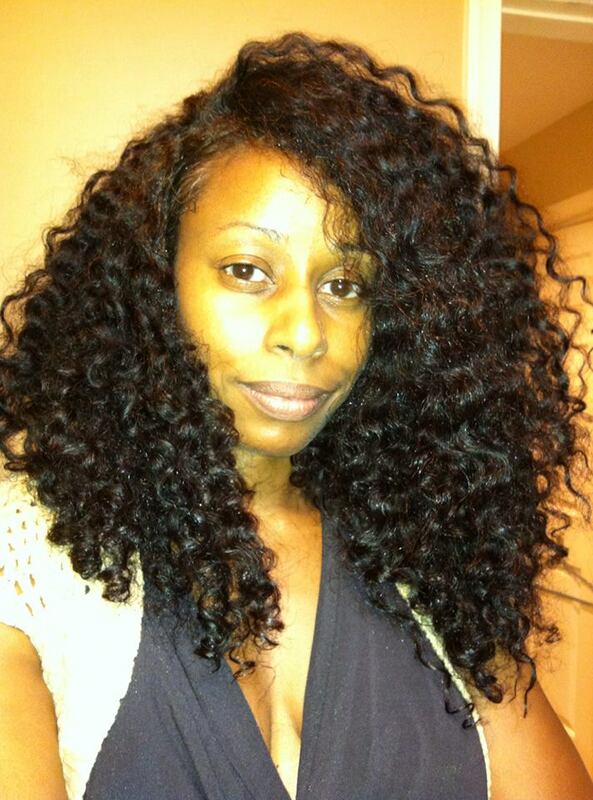 So, I think I’ll throw some Eco Styler into the mix my next wash day. So yeah, again, this isn’t really a review. Just sharing how this product seemed to work the first time. It’s now three days since I styled my hair with the Soufflé and my hair hasn’t had any oily residue since Sunday. It actually could stand to be re-moisturized. But, it won’t be with the Soufflé … because I gave it to my BFF to try!! She has very thick hair and will be running around a lot the next few weeks. So, she doesn’t have time to worry about dealing with her hair, which can get dry quickly. I told her to try it when she washes her hair this week, using a small amount for each section, and see if it helps keep her hair moisturized for a longer period than her normal products. Can’t wait to hear how it works for her! 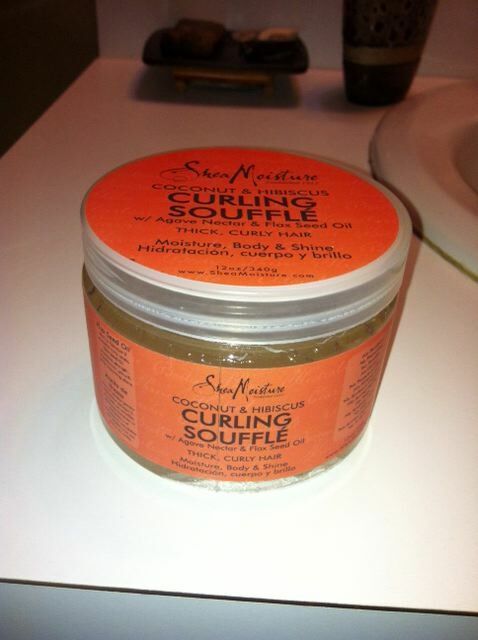 Have you tried the Shea Moisture Coconut & Hibiscus Curling Soufflé? If so, how did you like … or dislike … it? 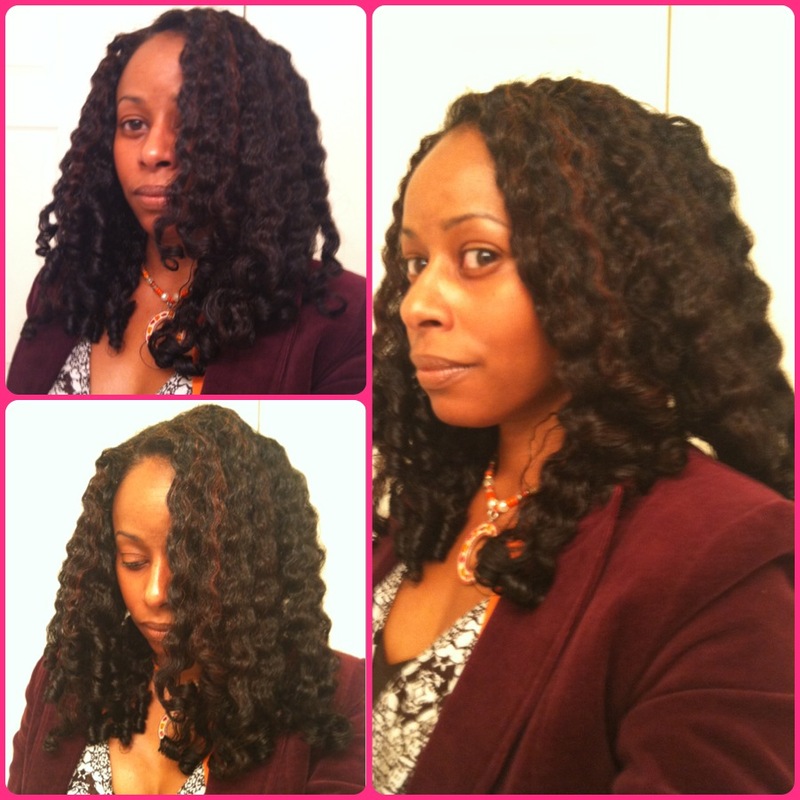 How did you use it to style your hair (WnG, braid-out, twist-out, etc.)? 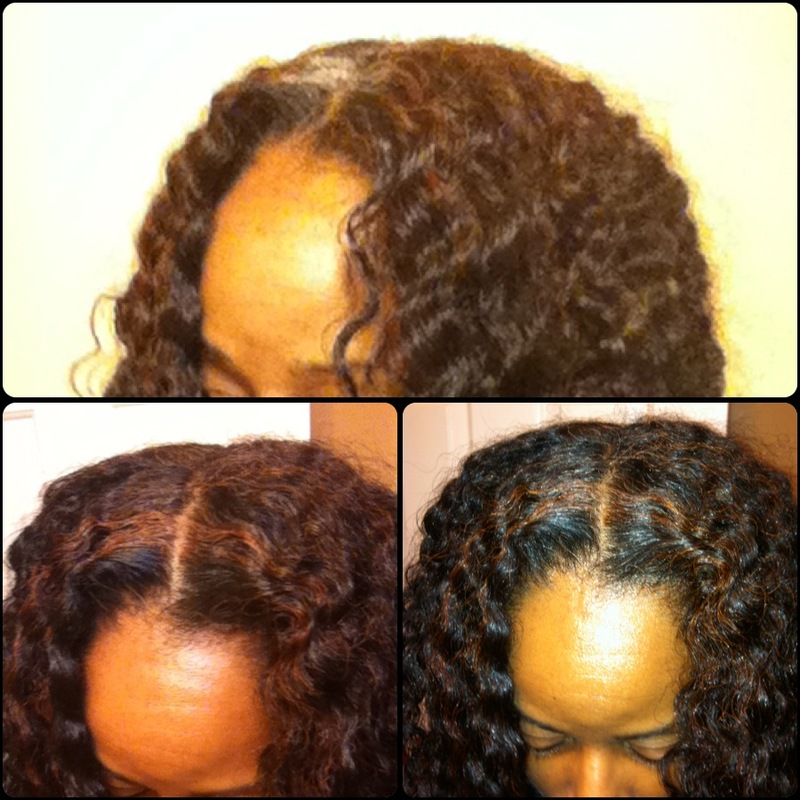 Did you apply to wet, damp or dry hair? Did you use any other product with it? 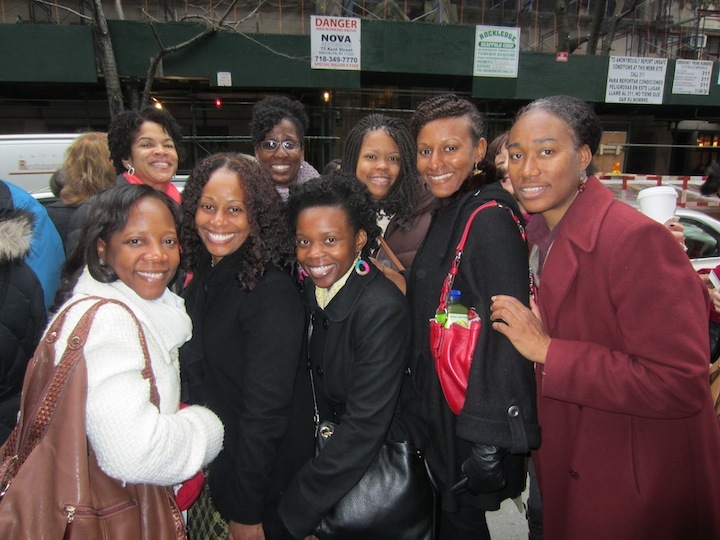 As we were part of a group, we were lead into the audience holding area and seated first. Our group was broken up into 3 and 5. My sister, Gina and I were seated in the middle front row; the rest of our group was placed dead center in the middle, middle row. The studio was so small, there’s no doubt that you’ll see us smiling, laughing and making funny faces on camera!! LOL!! As you know from my post the other day (check it out here if you missed it), the Katie show was about going “au natural” and the audience was asked to come make-up free as Katie would be doing the entire show sans make-up. I’m sure there was a little make-up going on, but it was very minimal, so it was cool! Really, the show was about how the pursuit of beauty impacts us and the first guest was a woman who went a year without using beauty products, with the exception of things that her husband used. She wrote a book about it, The Beauty Experiment, a copy of which we were all given as we left! There were several other guests, but I don’t want to give it all away! Overall, I thought that it was a very interesting show and conversation. As to Katie Couric, she was so nice. She talked to the audience during commercial segments, apologized that we had to clap so much and was a great hostess. She was very poised, relaxed and smooth in her interviewing. She never overpowered the interviews and allowed her guests to talk, which I think is so important. I hate when the host of a show like this spends more time talking than the guests! Ugh! But, Katie definitely did not. She led the discussion, but she allowed her guests to really answer her questions without interruption. Okay, so now, the cosmetic stuff. Katie’s outfit was niiiiiiiiiceee, from the top, to the lace skirt to the tonal plum round-toe pumps (her skirt is from Talbot (my sister asked during the short Q&A session following the taping!! LOL!!). And Katie looked GREAT without make-up! I was expecting her to look very different from how she does with make-up, but she did not! She looked really good!! I said this was going to be brief right?!? LOL!! Okay, here are some pics from the show and my hair (which turned out very well, I was pleased) and outfit all pulled together. The “Going Au Natural” Katie episode airs on ABC on Friday at 3 pm EST (NY/NJ). I’ve already set my DVR!! Actually, I set it to tape today’s show too … because Jada Pinkett was on the show that taped immediately before ours!! She was talking about her cause, human slave trafficking. So, I want to see that one too. Thanks to Tracy and my sister Shana for sharing some screen shots from the actual show! !